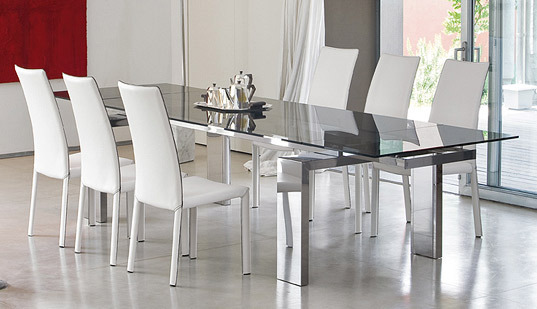 The Bonaldo modern dining room set is sure to catch the eye of your guests with its elegant glass dining table and modern emery leather chairs. 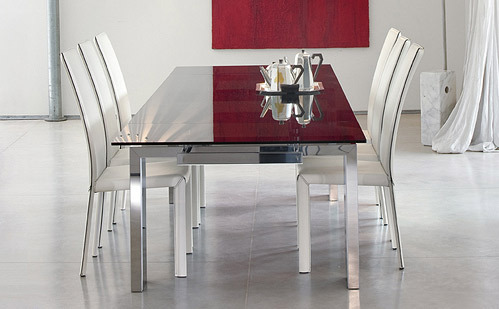 The “Tom” table designed by Peter Ross has a glass top that is available in transparent, smoked black, or white glass and comes with 2 side extension leaves to accommodate larger gatherings. 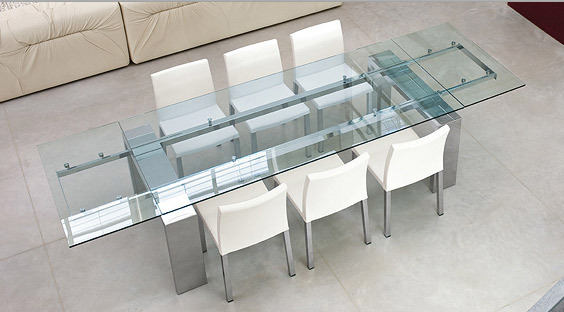 The glass is supported by a chromed steel structure with gloss stainless steel legs. 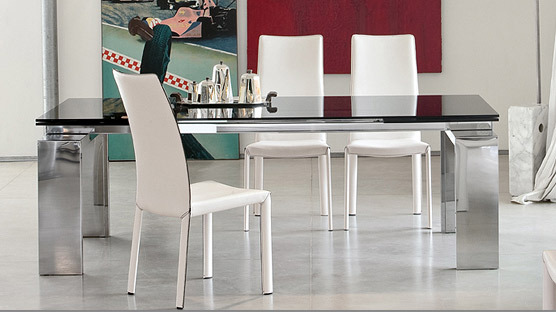 The “Angelina” upholstered chairs design by James Brönte has a steel structure with polyurethane foam padding, covered by emery leather available in the color of your choosing.